What is the first thing you do when you feel scared? But sometimes that is not enough. Your eyes keep on shuttling to and from the door. Put an end to this nerve-wracking phenomenon with Z-Wave Deadbolt! The reassurance you get by installing this on your main gate will be well worth the switch you make. And soon you will forget what being unsafe feels like. And that is a memory you won’t mind dropping into the ocean along with that ‘heart of the Ocean’ necklace! Keep your eyes glued to the screen for knowing more about this marvelous technological feat that goes by the name of Z-Wave Deadbolt. 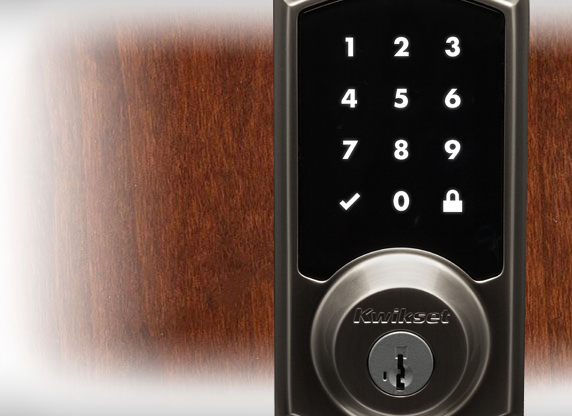 What is a Smart Deadbolt? 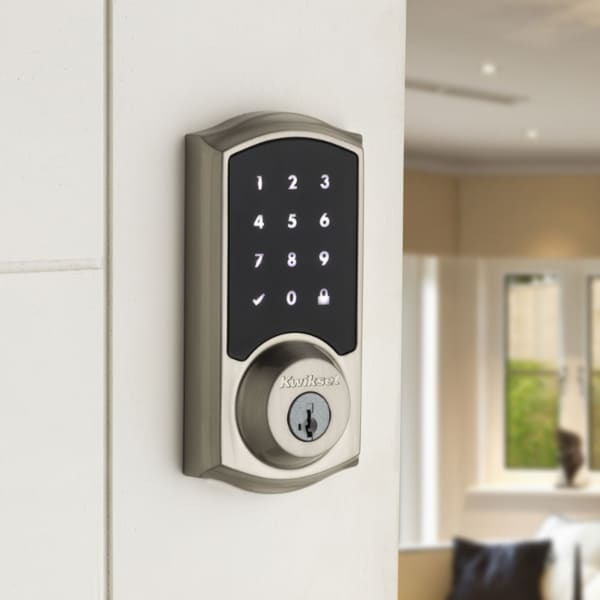 1 What is a Smart Deadbolt? 2 How can it simplify your life? 4 Which is the best Z-Wave Deadbolt and Why? The Z-wave deadbolt is your everyday deadbolt made infinitely better with the help of Z-wave technology. You get to monitor every aspect of your home security with this amazing smart home security solution. 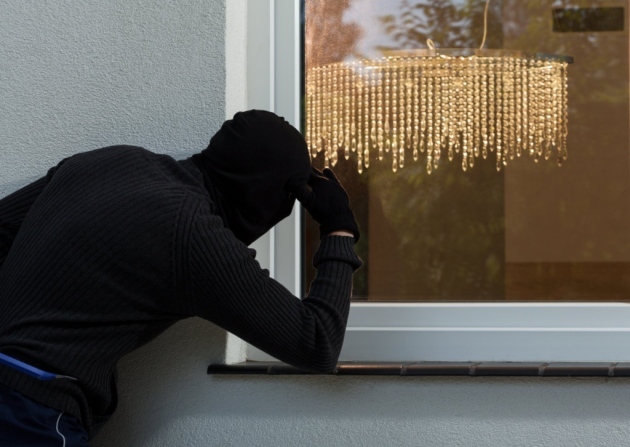 Keep an eye on who is going in and out of your home and when. Enable or disable the access as and when you please. Unlock your door with a single tap or security code entry. And create as many as 250 codes to share with different groups. You get to do all this and plenty more with the app smart app support of Z-Wave Deadbolt. Keep reading to know how it makes your life simpler than ever. How can it simplify your life? The days after you finally install the Z-wave deadbolt will be a lot different from the way they were before. You won’t be spilling everything everywhere while looking for the keys. In fact, those impossible to find keys will no longer be in the picture. The doors will automatically open for you as you approach and close behind you as you leave and somehow forget to lock. Nothing and nobody can just sneak inside without you having full knowledge about it. And you will finally be enjoying the safe home feeling that you craved for so long. Wondering which Z-Wave Deadbolts? Don’t worry, we have covered every little detail about the top contenders in the very next section for you. So scroll on! We know it is quite difficult to make the switch even if it is for the better. But knowledge surely makes the transition a whole lot easier. So grab a seat and give this section a quick read. The lock is battery operated and you will be notified well ahead of time via the August App when the battery needs to be replaced. Works with most of the standard deadbolts so you just need to replace the inside of your existing lock system. The installation process is extremely easy and will get over within minutes of unpacking your brand new August Smart Lock. Sync up your lock with your smartphone with help of LEB (Low Energy Bluetooth) that has been described to be quite safe. Check the activity log of the lock throughout the phone from your very own smartphone whenever you feel like doing so. The lock gives you the power to assign as many virtual keys as you want for yourself, your family and the seldom arriving guests. Accompanying smartphone app lets you track the ins and outs of your home including the time stamp for each entry and exit. You get the freedom to enable or disable the locks as and when you want. 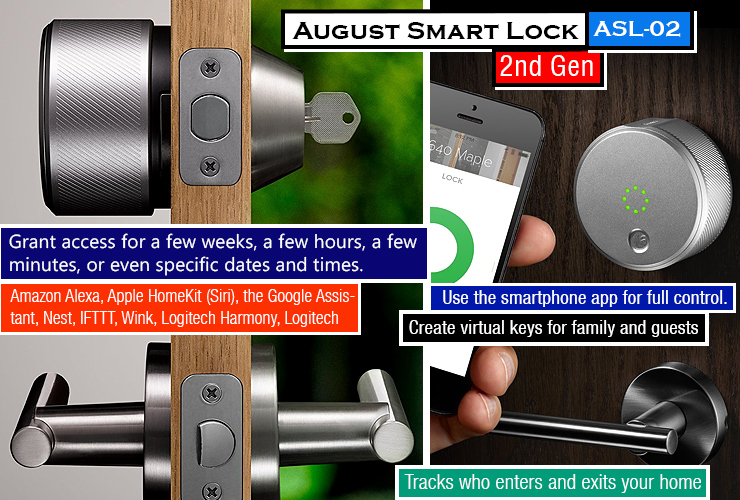 You can also use your traditional lock as you used to even after installing the August Smart Lock. Your door will get automatically get locked behind you and will unlock in a timely fashion as you arrive. Control all the features with Siri or Amazon Alexa depending upon whichever suits you best. You door need to be perfectly aligned for this lock to function. It fails to function even if there is only slight misalignment. Sometimes you might be locked out of your own home due to the calibration issues of the lock. Almost half of the time when the app states that the door is locked, it will actually be unlocked. Comes equipped with an anti-pick shield so that you don’t have to worry about lock tampering anymore. The resistive touchscreen is tough and durable for heavy duty everyday use. The screen comes with a matte finish to free you from the burden of cleaning fingerprints and smudges on a regular basis. Access the keypad with utmost ease even in the dark thanks to the LED backlight feature. This Z-wave technology product works in unison with the home automation system. After 30 seconds, the door will get locked automatically to deliver that heightened security level to you. Control all the features of the lock directly through your smartphone or the web. Lock and Unlock your home from miles away with a single tap on your smart device. The ‘fingerprint-resistant touchscreen’ makes sure you leave no mark on the keypad for the ‘innovative’ intruders to take advantage of. 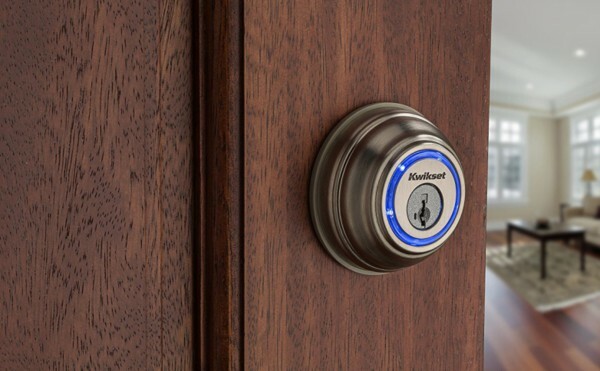 Go keyless with this smart deadbolt lock and be done with the hassle of keeping track of all your keys at all times, once and for all. Some users are complaining that the touchscreen stops working after 18 months of use. This gets especially tricky since the electronics warranty is for only 1 year in the older version models. You will have to buy the hub or the main controller separately. The lock will not function without the hub. The installation guide might fail you when it comes to installing this deadbolt to lock perfectly every single time. You might have to seek professional or online help for that. The Kevo app comes with a step by step guide to help you install and configure the lock within minutes. All you need is a screwdriver and you will be able to install the lock without facing any hassles. Your troubles are further lessened with the help of color-coded connectors, standard and drive latch, interior easy-access window and mounting plate. 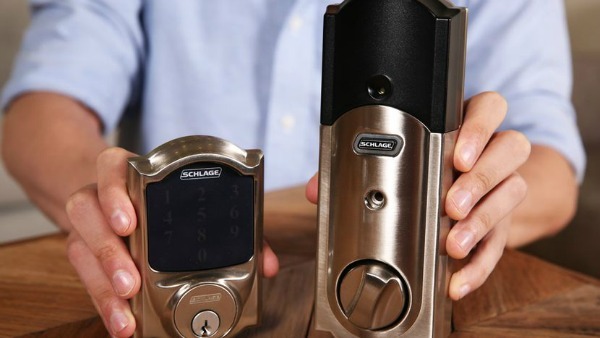 You get added protection against the sneaky lock picking practices with the help of Advanced SmartKey Security that actively discourages forced entry. 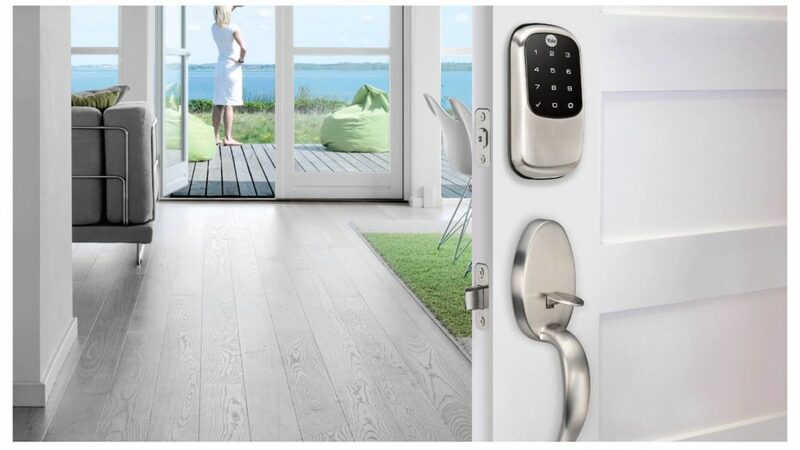 World-class Quality and glowing ratings of Kwikset Kevo Bluetooth Smart Lock include ANSI Grade 2, BHMA Certified, and UL Fire Rating. With Touch-to-Open Bluetooth Smart Lock, you get the freedom to open your lock with a simple gentle touch. You also get this facility with the help of Kevo Plus WiFi hub. This feature lets you open the lock even when your hands are not free to actually take the mobile out for the unlocking regime. 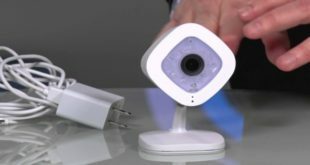 The smart location detector safeguards you and your family against the intruders too. The lock will not open if your smartphone is detected inside till you give the ‘go’ signal. eKeys and their actions are recorded in detail in the Kevo App. This means that you can track the sender and receiver of the eKey and everything else that was carried out during the unlocking process. You can remove your smartphone from this smart lock equation altogether with the help of Kevo fobs. 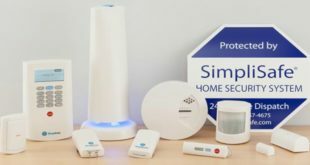 You can use it yourself or give it to frequent visitors who you don’t intend to keep on your online home security loop. Some customers are complaining that the product is not durable even when handled with utmost care. You must ensure that the warranty is applicable in your country since some customers are getting stuck in this loophole too. The post sales service is lagging by a mile and can really use some drastic changes to their marginally helpful system. The installation process will take not more than a few minutes and a screwdriver to fix everything in the right place. The 100% key-free promise lets you enjoy that peace of mind when you don’t have to worry about misplaces keys round the clock. The lock runs on a rechargeable battery so that there is no need to keep track of the batteries replacement schedule. Just in case you forget to charge the battery someday, a 9V battery terminal is present right next to it for emergency charging. Yale Assure app offers you real-time feeds and recorded data in an organized and easy to comprehend manner. You get to open your lock by simply entering your personalized security code if you don’t want to engage your smartphone in this process. Make it a part of your smart home automation system by using the ZigBee Network Module or the Yale Z-Wave as the connecting link. No need to share your keys with anyone you don’t want to anymore. Just grant them access when they arrive with a single click and you are done. Use the app to create schedules suitable for different days of the week and be rest assured security-wise the whole time. The lock opens with a single tap on the keypad by only you and the people you grant access to. Say goodbye to fidgeting for keys from now on forever. Assure Lock app takes a lot of time while switching from one page to another. The programming team needs to fix this excessive loading time issue for improving the utility of this app. The guest user cannot use the virtual key without downloading the Yale mobile app. The minimal instructions further make it difficult for the first time user. The unlocking process is not as seamless as it has described in the brochure. It will consume a major chunk of your time as you try to get the sequence and the timing right of all the small steps involved. You get to set as many as 250 security pin codes with the smart controller. Even without the controller, you can set a minimum 25 codes to share with different groups. Use any of the popular Z-Wave automation apps to manage your smart lock throughout the day. The installation process is extremely easy and time-efficient for the average user. 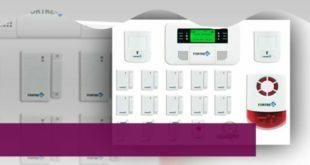 Z-Wave technology makes it easy to include in your domestic alarm system or the home automation system. All the alerts and notifications go directly to your smartphone to keep you updated with the latest activity. View the access history anytime and anywhere for that ultimate peace of mind. You can block access too if you detect something fishy without raising any noticeable alarm. Each family member can create and use their own unique security code. You can lock the doors for the visitors from miles away without engaging them in the security details of your home. Constant exposure to sunlight will ruin the touch screen and make the security pins very easy to detect. Overall, the lock is pretty easy to pick and it might not be that effective against the unfortunate break-ins as the user requires. The durability of the lock is a big question after so many users have complained about it being unpredictable after a month or so of use. Doors will get locked automatically after 30 seconds of zero activity. Presently, this model is available in three finishes: Satin Nickel, Polished Brass, and Venetian Bronze. You will be enjoying maximum visibility even in the case of blindingly bright sunlight with bright white LEDs. Be a proud owner of a well-tested and standardized product that comes with the ANSI/BHMA grade 2 and UL certifications. Your house becomes impenetrable to the anti-social elements with the help of Pick resistant side locking bar and patented Bump proof technology. The keypad will stay lit brightly even 30 seconds after the activity so that you can have a good view of the current process. It has been made to fit all the standard door measurements such that you don’t have to drill new holes on your perfectly painted and varnished doors. SmartKey technology allows you to re-key the lock in three simple steps within seconds. The capacitative screen is extremely responsive to the back of your hand and your fingertips. 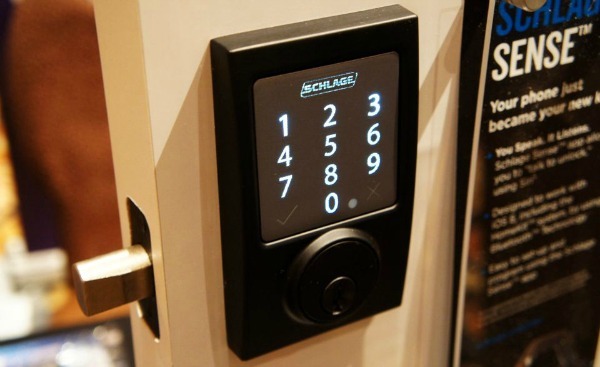 Create as many as 30 unique security codes to make your home secure in every event. Opposed to the claims, it is not easy to integrate and operate with a Z-wave home automation system. The lock responds poorly when exposed to direct sunlight and requires you to enter the code multiple times. After 3 mistrials, you are locked outside for good till you get someone to unlock the door manually from inside. You have a lot of choice in terms of remarkable smart locks available in the market as of now. So be smart and go for the one that suits you and your home the most. Which is the best Z-Wave Deadbolt and Why? Though it comes quite close, we have to go with the Kwikset 916 Z-Wave SmartCode Touchscreen Electronic Deadbolt as our official pick. Once you use it, you will realize that great deal of attention has been given to every big and small aspect of this lock. Right from the installation to the unlocking process, everything has been kept simple and effective. The Capacitative screen and the various standardization just make it all the more appealing. We hope you liked our take on the Z-wave deadbolts and found at least one model up to your expectations. If not, then let us know so that we can create more relevant content for you. Till then, keep on learning! Previous Z-Wave Sprinkler: Pamper you Garden!